From maximizing storage space, to culling large collections, or preparing estates for sale, Arranged can help create solutions to gain control of the things that overwhelm. After re-arranging bedrooms in their home to provide better accommodations for visiting parents, the playroom had been moved upstairs and then neglected in the process as life took over and busy parents ran out of time to get it fully unpacked, with some toys still in storage. The new playroom was at the top of the stairs, and thus its mess could be seen every time they walked by. By doing a pass of the toys for what was broken or now "babyish" and rearranging things with an emphasis on functionality for kids to access, and on it being easy for the kids to put things away themselves when done, the end result was a space where the kids could have fun, and the parents could have less stress about the mess! 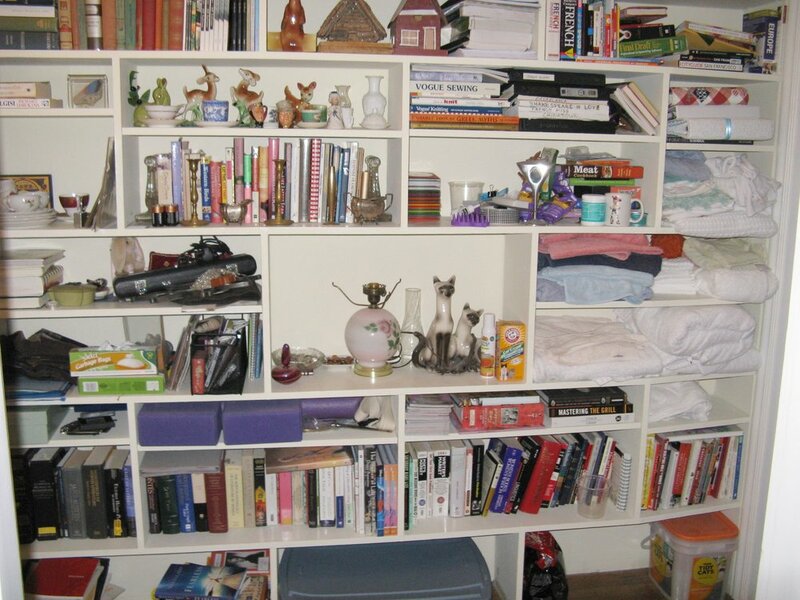 This client had limited closet space in her apartment, but did have one large built-in shelving unit. While some culling of items was needed, this project was really about how to best utilize the open shelves for both easy access of items, and for storage which wouldn't feel cluttered and overwhelming in the space. Folks often think that getting ready for baby just means nursery prep. While prepping the baby's room is essential, this family quickly realized a re-hauling of their kitchen and laundry space was going to be in order if they were going to keep up with the feeding and cleaning needs of their growing family!